I know, too simple to make it a recipe… yet it’s a great, quick, no bake, sweet treat, for all the family. 1 family sized bag of Mini eggs. Cake cases, or a baking dish to make it tray bake style. 1.Bowl of chocolate in pieces, microwave for 30secs, stir, 15secs stir – keep an eye out for any burning… you have to be vigilant when melting chocolate. 2.Add cornflakes, as many as the chocolate will cover, mix together. 3.Then add marsh mellows, mix in. 4.Then microwave for 15secs and stir all together. 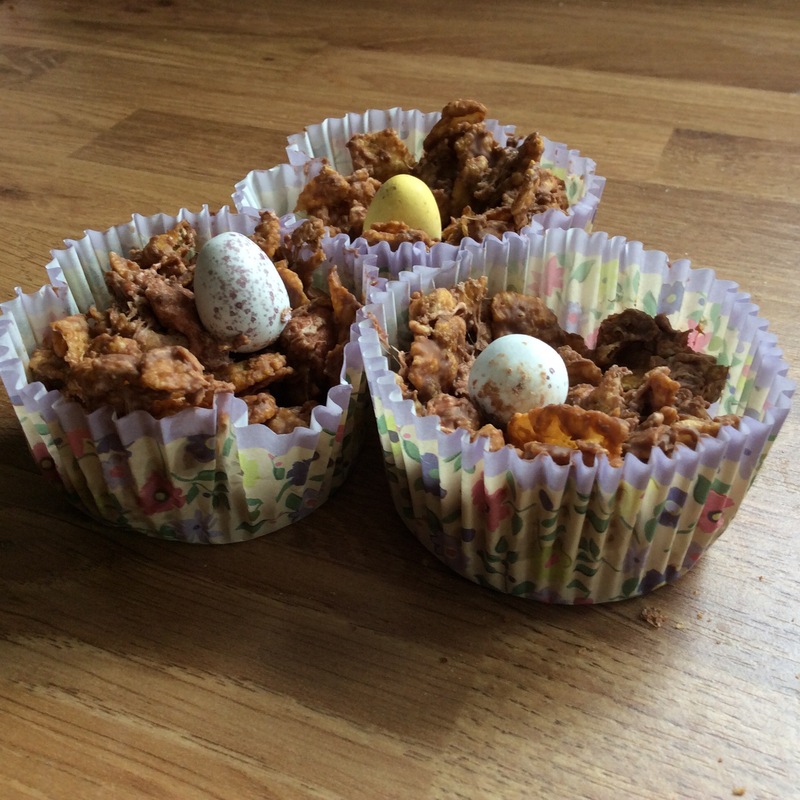 5.Fill bun cases, or baking dish, then add a mini egg or two on top and fridge.